Luxury baby shops for pampered infants. Handcrafted chair in textured fabric. Down/feather wrapped seat core. Gold-leaved bunny ears peek out from a handcrafted shade in this charming tableside companion. Shaggy fringe in various lengths and pastel shades make this basket a delightful addition to cool-toned spaces. Bunny ears peek out from a handcrafted shade in this charming tableside companion. Archival ink and paper. Bass wood frame with glass panel included This heirloom-worthy book is filled with prompts to memorialize your little one's first year. Handcrafted chaise. This thoughtful and practical dinnerware gift set features cute Precious Moments artwork that makes mealtime "hoppy" for babies and toddlers. Plus, it's made with bamboo. Almost as adorable as your little blessing, this unique feeding set includes everything kids and babies need to enjoy mealtime and snack time. Makes a great gift for birthdays, holidays, baby showers, and 'just because'. Add fun to your child's bedroom decor with the Luxury Plush Tummy Time Mat Blanket Pink Bunny from Cuddle Me, featuring a cute pink bunny that is soft to the touch, making it the perfect addition for animal lovers. A cute bunny motif, courtesy of Swankie Blankie, keeps your baby as cute as a button in plush fabric for a soothing post-bath experience. Ottoman in dyed sheep shearling (China). Brass feet. Hardwood frame. Foam seat cushion. This bunny-shaped LED light is a perfect night light for bedtime and a sweet decorative piece during the day. Drawing inspiration from her study of textile design, artist Kate Roebuck explores the timeless themes of pattern, color and texture in each of her bold compositions. Seeking to evoke a dialogue between herself, her subjects, and the viewer, she expresses a well-developed balance of precision and play. Michael Aram bunny keepsake box. Stainless steel, marble, silver plate, and white enamel. 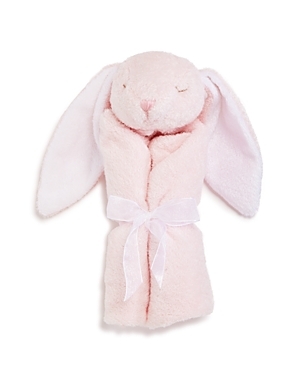 Add fun to your child's bedroom decor with the Luxury Plush Security Blanket Pink Bunny from Cuddle Me, featuring a cute pink bunny that is soft to the touch, making it the perfect addition for animal lovers. The deeply hued floral motif of this tufted floor covering pulls any room together. 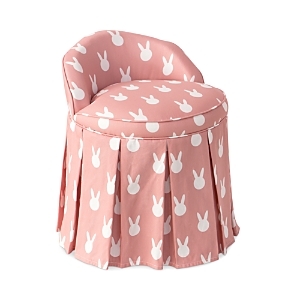 Add fun to your child's bedroom decor with the Luxury Plush Pink Bunny from Cuddle Me, featuring a cute pink bunny that is soft to the touch, making it the perfect addition for animal lovers. With too-cute bunny ears, this adorable teether will add a pop of whimsy to an important time in a little one's development. Wool; polyester fill With too-cute bunny ears, this adorable teether will add a pop of whimsy to an important time in a little one's development. Entertain your littlest ones with this soft rattle - it's shaped like a particularly dignified bunny, who sports a monocle and bow tie. This adorable set comes with a soft, fabric book and firm teething ring - an ideal duo for an inquisitive little one. Whether taking photos or dressing up to visit family, this bunny-eared cap is sure to look adorable on your little one. Felted wool Handcrafted polka-dot kids' chair. Solid pine frame. Linen/cotton upholstery. Polyurethane/polyester fill. With an antiqued bronze patina and ivory curly sheepskin, this sheep sculpture bench is a charming, winsome accent that's sure to spark conversation. Polyester; poly fill Built in a lightweight frame with durable handles and a miniature closing latch, this well-designed dollhouse is just the right size for your little one to tote around. Handcrafted area rug. Dyed Tibetan lamb sheepskin (China). Cotton Understated luxury, soft to the touch. New Zealand-crafted suede is artfully sanded to accentuate hide's natural beauty. Curved arms, plush seating and single pillow create a laid-back look, while a hidden swivel turns a traditional form into something novel. Tom Judd, an artist living and working in our hometown of Philadelphia, creates dreamy and nostalgic collages that explore the nature of memory and draw inspiration from the flotsam and jetsam of American experience. This painted ewe is an original work of art. GOTS-certified organic cotton. France A whimsical addition to your little one's nursery, this wooly rug is a cozy place to play. Tadpoles popcorn plush micro-fleece and Sherpa blanket is a beautiful, unique and oh-so-soft baby blanket made from plush microfiber knit to a unique popcorn style pattern. This double layer blanket is backed to a plush natural colored Sherpa adding warmth without weight. Perfect for strollers, cribs and naps on-the-go. Machine washable. Easy-to-grip attached animal friend Keep your infant warm and cozy in style with tadpoles super soft plush sherpa swaddle wrap. 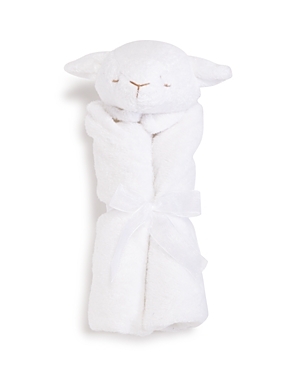 Made from 100% microfiber plush polyester sherpa, this swaddle stays buttery soft and gentle for baby's sensitive skin. The soothing texture and swaddle wrap keep baby snug, calming your fussy little one when it comes time to nap or sleep.